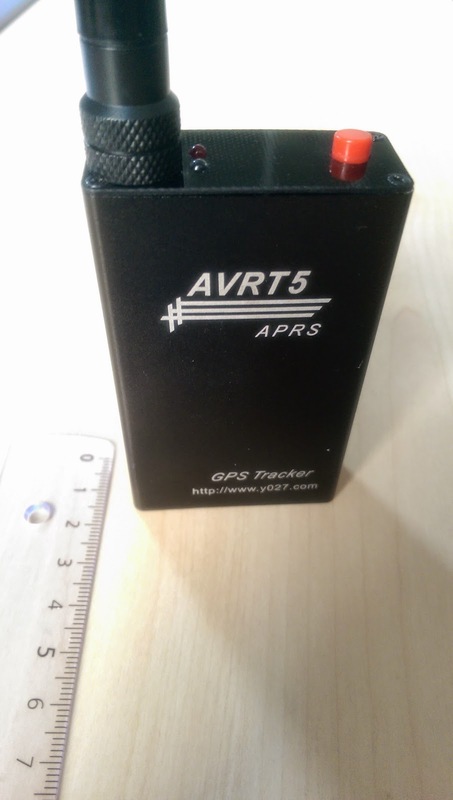 The AP510 / AVRT5 APRS tracker is a tiny APRS tracker with built in GPS and bluetooth. 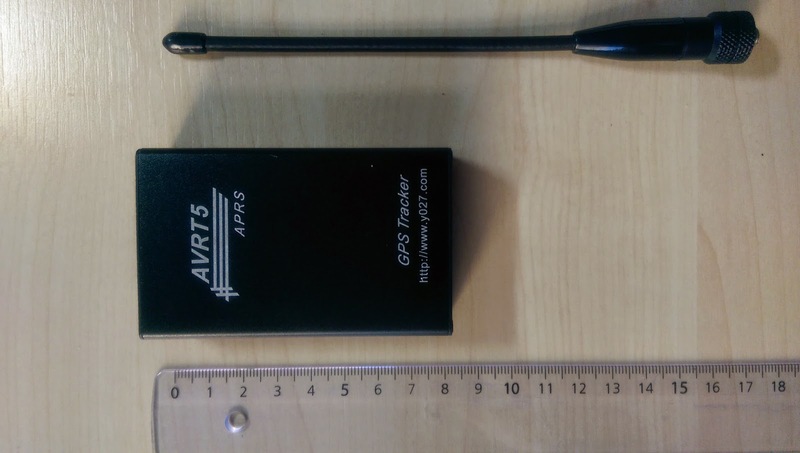 Transmitting power is around 1W (detailed measurement result available on ap510-avrt5-aprs-tracker-hf-signal). You will find the latest firmware / configuration software there as well. For the German's: Klaus, DJ7OO hat einen Erfahrungsbericht auf seiner Homepage. 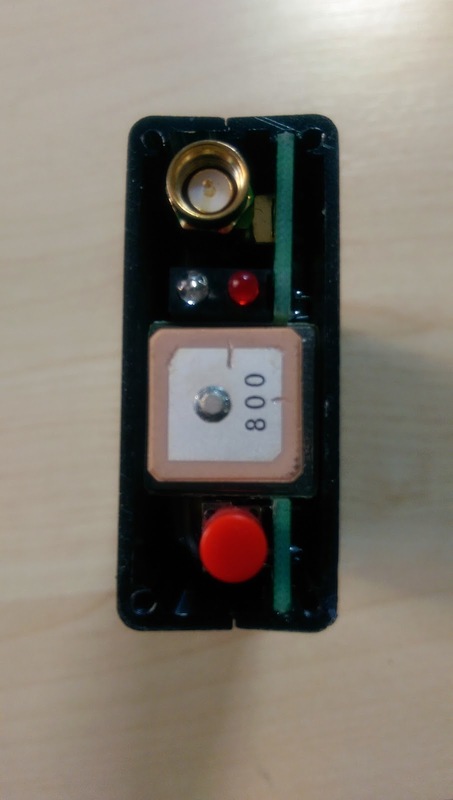 I got mine from a Taiwanese Hamradio friend while being there on a business trip in June 2014. Transmission can be set to a fixed timing, smart beaconing or triggered manually via button. Acts as a WIDE1-1 or WIDEn-n digipeater if needed. Fixed position can be programmed (e.g if used as a fixed station). Tracks can be stored on MicroSD card. Configuration / Charging to be done via serial connection (miniUSB connector). 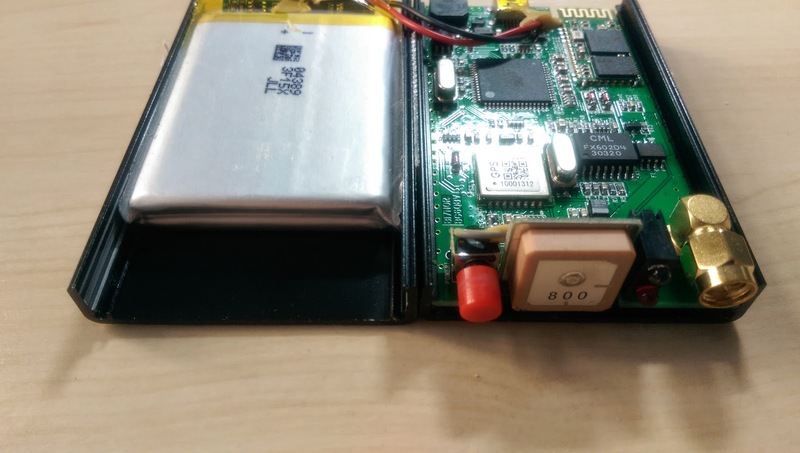 KISS / Waipoint / UI frame output on serial (4800Bd) and Bluetooth. Works perfectly with APRSdroid as BluetoothTNC (Output to be set to KISS). 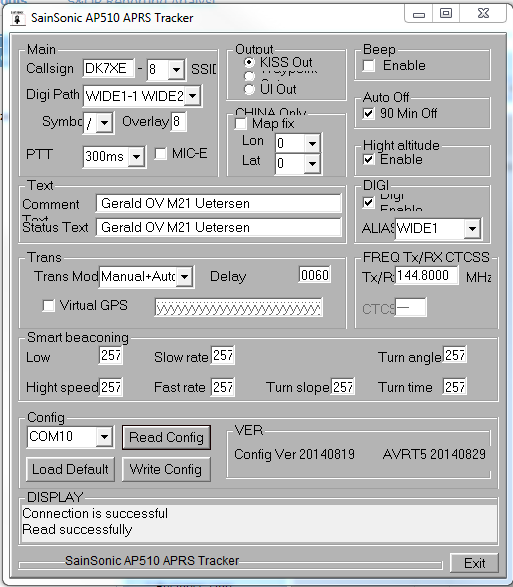 Operating frequency can be set via configuration program. I'm really happy with this device since it works perfectly with APRSdroid and fit's in every pocket. Bluetooth connection only works after GPS lock therefore you have to wait some seconds before connecting to the device. 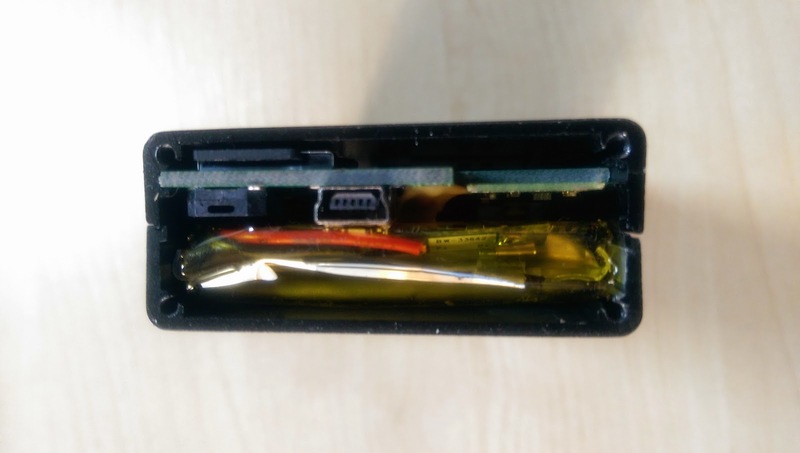 Bluetooth pairing code is 1234.
miniUSB connector is a Serial Port therefore the included USB cable needs to be used for programming (charging works with every standard USB cable). Help is provided via the AP510 / AVRT5 Yahoo Group. 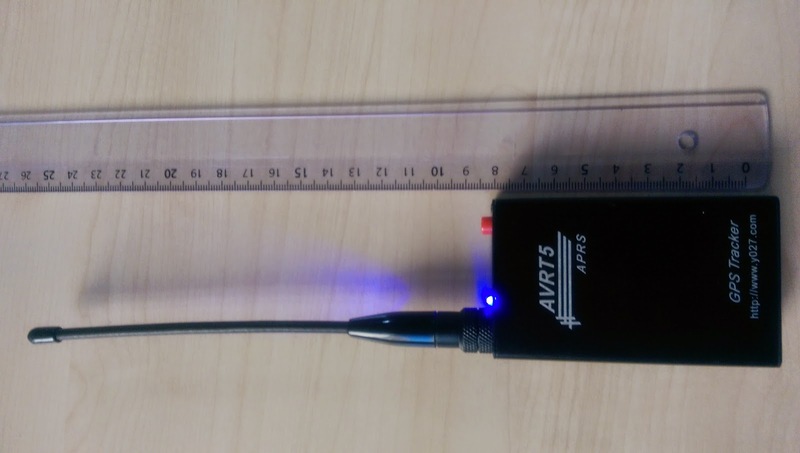 Be aware that the TX power is low compared to other stations therefore not every transmission might reach a Digi/Gate when being in a busy APRS area. According the info on http://avrtt.taobao.com/ some settings can be changed by sending AT commands. Either you connect via the serial (USB) port with following settings 4800Bd 8N1. Or you use a bluetooth, e.g. BluetoothTerminal on Android. 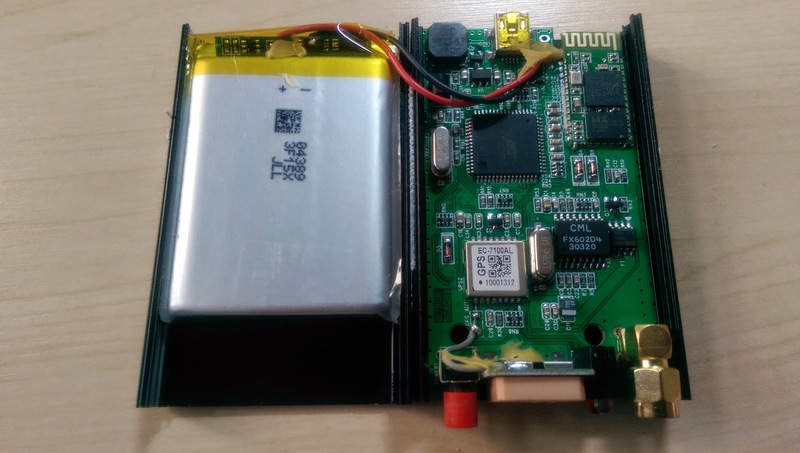 Import: serial/bluetooth communication seems to work ONLY after GPS lock. 4) the device will send OK back. 5) reboot the device to have the NEW settings active.